The A34 runs from Salford to Winchester. The Southern leg of the road cuts through Oxfordshire from North to South. 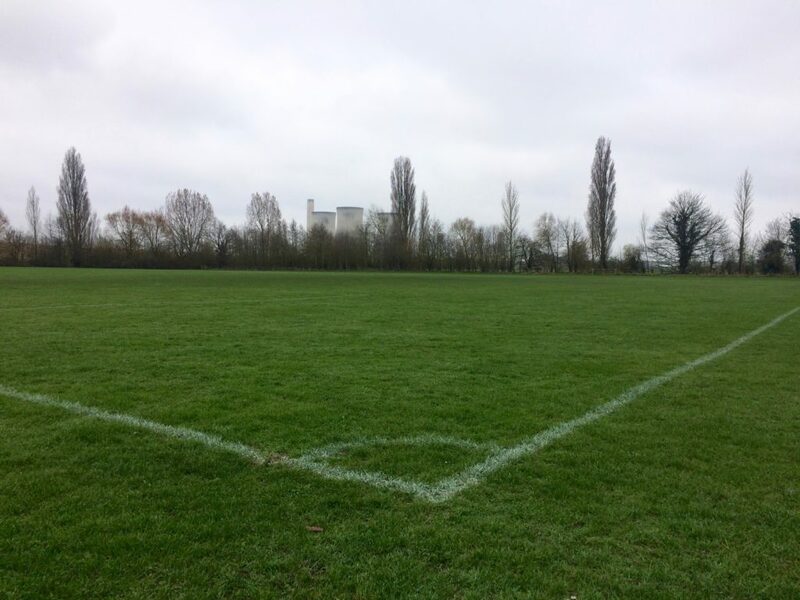 The soundscape at Drayton FC to the East and Milton United FC to the West of the road is dominated by the sound of the internal combustion engine; the resonating tarmac; and the rattle of trailers and trucks . 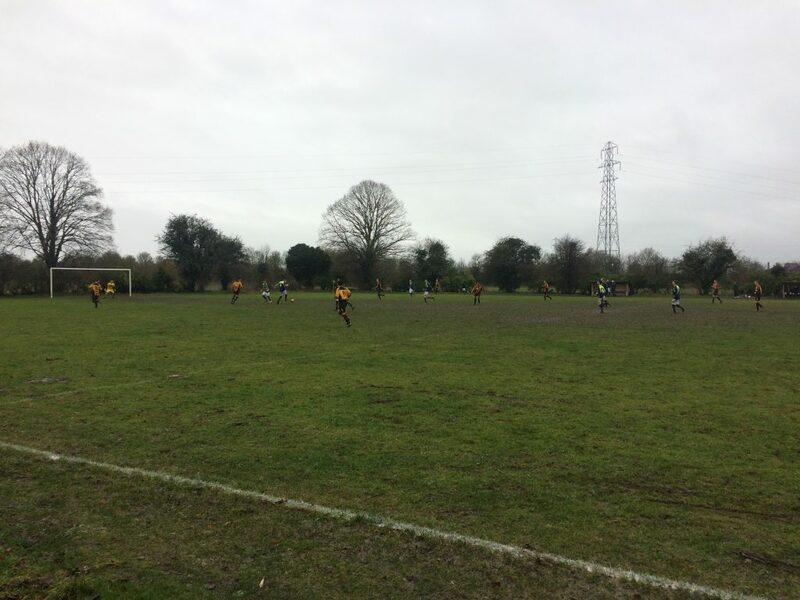 Drayton FC play in the North Berks League and their pitch is on the South-West edge of the village. The centre circle is 175m East of the A34. 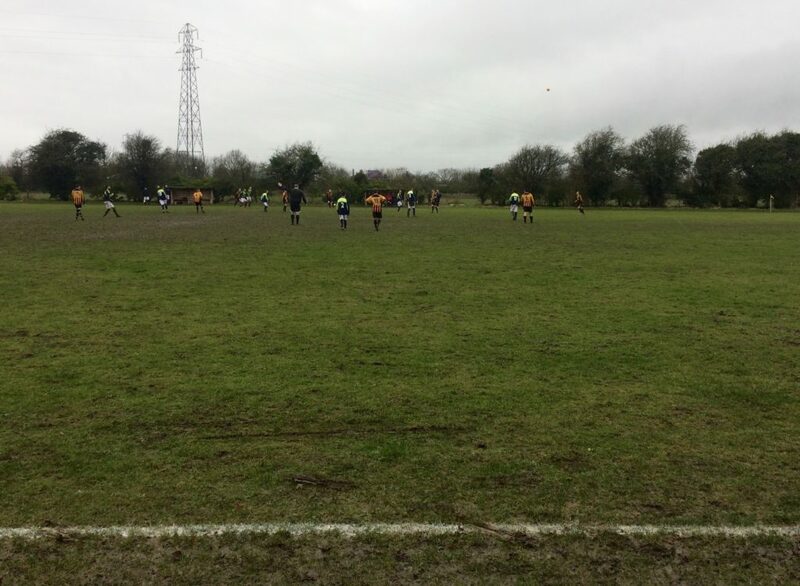 If you stand in the centre-circle – where this recording was made – there are benchless breeze block dugouts; a line of low trees; and an electricity pylon that stands in the field between the pitch and the road. The embankment of the A34 rises above the field and the sounds of the road flood down the embankment and saturate the surrounding area with a band of consistent high frequency noise. The rattle of trucks; the phasing of tyres on asphalt as they approach and depart; the liquid drone of the road – these are the sounds that dominate the listener’s attention. This week I returned to the Lockway to listen to Drayton FC v Hagbourne Reserves in the North Berks League Division 3. There is no sound baffling between Drayton and the A34 not even a screen of trees. It made me wonder what a fence would do; a tightly packed screen of beech trees; a glass and steel acoustic shield. How long has the sound from the road been this pervasive? 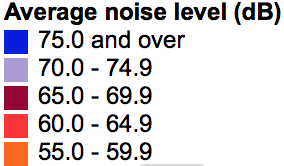 Has it got quieter as engine noise has reduced or was rubber on asphalt always the dominant sound at this distance? The calls of the players and coaches are submerged beneath shimmering white noise. Only when the play came over to the eastern edge where I was standing was it possible to clearly hear the on-pitch communication. If i had been standing on the A4017 Steventon Road on the other side of the houses whose gardens back onto the pitch I am almost certain that the only sound I would have heard from the West would have been that of the A34. The shouts of players and coaches would be lost in the complex wave of traffic sound – hemmed in – unable to resonate across the surrounding streets and fields. 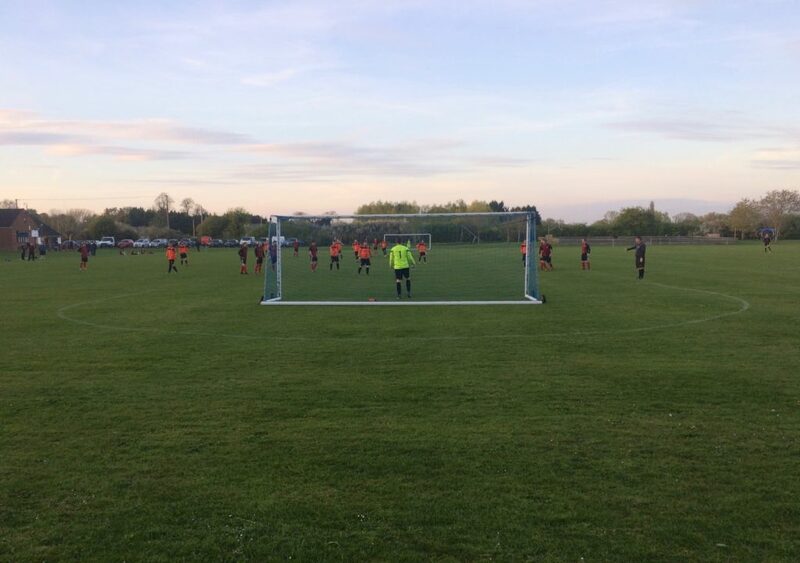 One evening – several weeks later – I headed back to see Sutton Courtenay FC take on Westminster in the North Berks League Division two. During the second half I stood behind the Westminster goal on the South side of the park. Amongst the first sounds that can be heard in the recording are those of a penalty being converted – the thump as the ball is struck; the crack as the ball hits the back of the net – followed by sporadic applause. The sound of the ball being struck is thunderous at times and travels farther than any other sounds of the game – like a bird-scarer or gunshot. As the play moves towards and away from the Westminster goal the sound of boots striking the ball is a constant. are you going with four? The two images in this post are taken from the English Noise map Viewer that can be found here. There is a key for the map indicating the average decibel levels represented by the overlaid colours at the end of this post. Milton United FC play at Milton Heights which sits above the Milton interchange of the A34. I made this recording from the centre circle of one of the two pitches on the site which is 370m South-West of the A34. The sound here differs radically from that at Drayton. There is more local detail and a more varied frequency range. There is a sense that we are listening to sounds from farther afield – that this is an auditory vantage point. 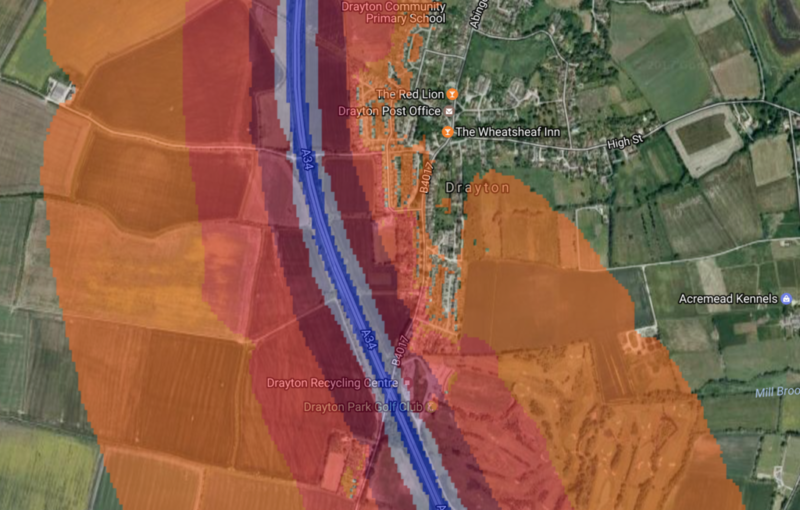 If I turn my head to the South I can hear the road as a high frequency drone – a more distant sound; if I turn to the North-East I can hear a more complex sound – a greater range of frequencies that includes vehicles slowing and braking as they exit the A34. There are sounds that are closer by too – trucks sit in the lane that leads to Milton Heights; the president of the club is painting white lines and at times we can hear this as the wheels of the line marker work against each other and the paint moves from wheel to wheel before it makes contact with the grass.